Democratic Senator, Diane Feinstein, says she will most likely oppose the nomination of Neil Gorsuch to the Supreme Court. In today’s nomination hearings, she said that Judge Gorsuch’s view that “the intentional taking of a human life by private persons is always wrong” is a deal killer. In her view, a decent man isn’t qualified to sit on the Supreme Court because he believes murder is wrong. A majority of her party agrees with her. McCarthyism is alive and well. Democrats are screaming for Attorney General Jeff Session’s head. They demand that he resign. They demand investigations. They demand special prosecutors. Here’s the rub: Mr. Sessions DID meet with the Russian ambassador during the campaign (not to mention another 25 ambassadors). However, it is not clear in what capacity. The Russian ambassador also met with Democratic senators Diane Feinstein and Clare McCaskill. The ambassador was apparently making the rounds to members of both parties of Congress. So did Sessions perjure himself? It depends on how you want to interpret the question. In light of Democrats willingness to give Eric Holder, Hillary Clinton, Susan Rice, Loretta Lynch, and the IRS a free pass in the face of obvious obfuscation, outright lies, and smug contempt of Congress, it is hard to take their outrage seriously. It’s also hard to take a MSM seriously that gave Team Obama such a free pass the past eight years in the face of scandal after scandal. Regarding Team Trump, there is no evidence of any crime, unlike the Obama era scandals mentioned above. In fact, the one thing we really know about the Russians is that Wikileaks (who may or may not be a Russian surrogate) released the Hillary Clinton emails that she illegally withheld from the authorities and the American people. 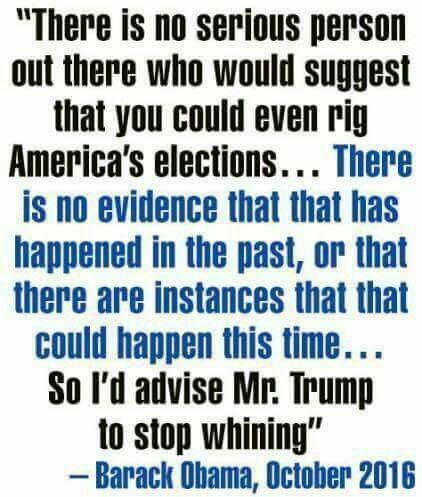 And there is certainly zero evidence that the Ruskies “hacked” our election, as former President Obama insisted was impossible anyway (see above). Democrats are making inferences “of subversion or treason without proper regard for evidence.” Welcome to a new era of McCarthyism. “I’m not a gun guy.